Philip’s music has been performed regularly for the last 20 years by various singers, choirs, concert bands and other artists. His work has been heard around the UK as well as Europe and North America. Below are some recent highlights – you can click on the programmes to zoom in. After Philip had the honour of his piece Capriccio for String Orchestra being performed at Buckingham Palace, the same superb orchestra included the composition in their concert in London soon after. 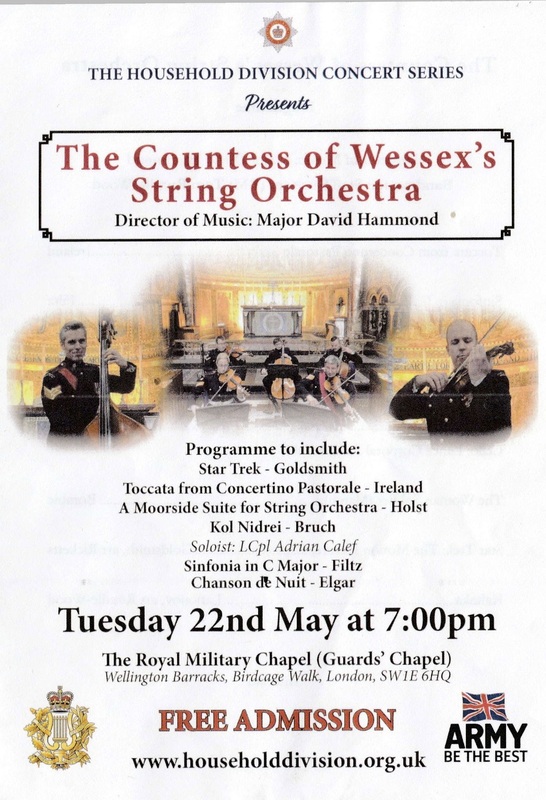 The Countess of Wessex String Orchestra was conducted by its principal musical director Major David Hammond, in the historic Guards’ Chapel at Wellington Barracks in Birdcage Walk on Tuesday 22 May 2018. 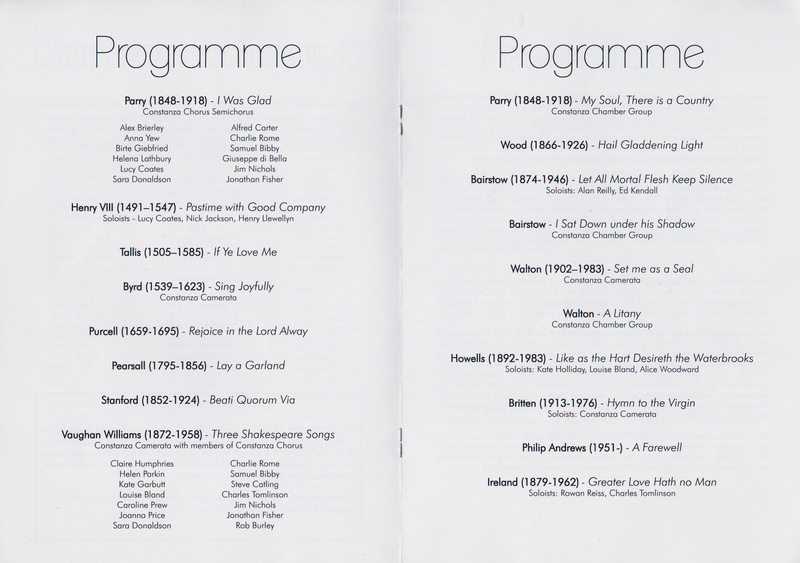 As you can see below, Philip’s Capriccio opened the second half of a diverse programme also featuring Holst, Elgar and Jerry Goldsmith. On Saturday 10 October 2017, Philip’s very popular Jane Austen Suite was the centrepiece of a concert given at Chawton House, in the author’s home county Hampshire, UK. Jane herself always referred to it as ‘the great house’. 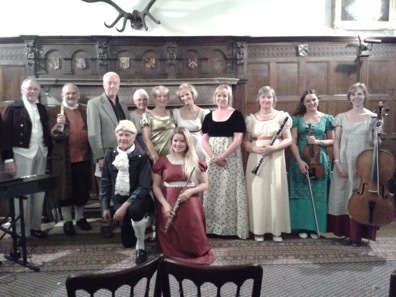 The concert was given by professional musicians in the manor house’s Great Hall, and included music of the period from Austen’s time. The House was owned by Jane’s brother Edward Austen Knight, making it an especially appropriate location! The concert proved to be hugely popular with a full and attentive audience. 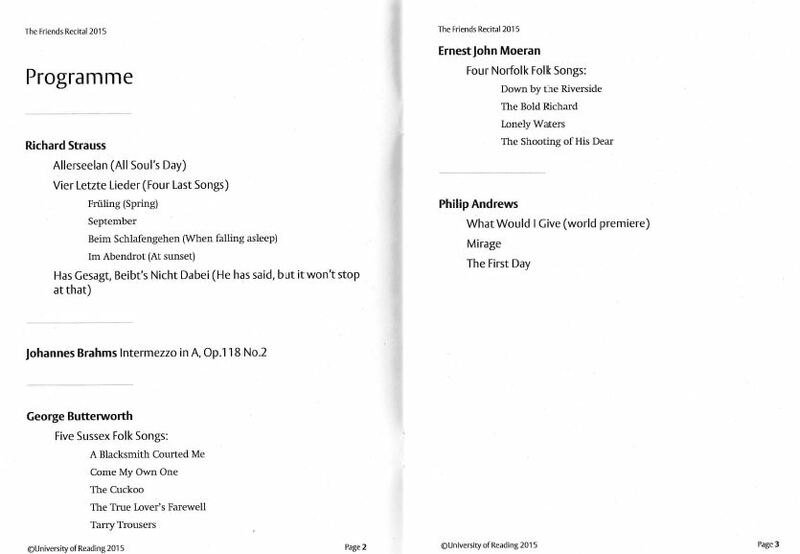 ‘A substantial tribute was paid by Philip Andrews in his seven-movement Jane Austen Suite. This is a most attractive work in which each section portrays a character from a Jane Austen novel. Each of her six most-famous books was invoked plus the unfinished Sanditon. It was entirely suitable that before each movement a description of the character taken directly from the relevant book was read out. Philip’s Suite had been performed in June by the same group of musicians at St Nicholas Church in Steventon, Jane’s birthplace. Philip had the distinction of hearing one of his song settings performed in the beautiful surroundings of the famous Winchester Cathedral in Hampshire, UK. An audience of around 300 people was treated to a variety of music performed to a very high standard. 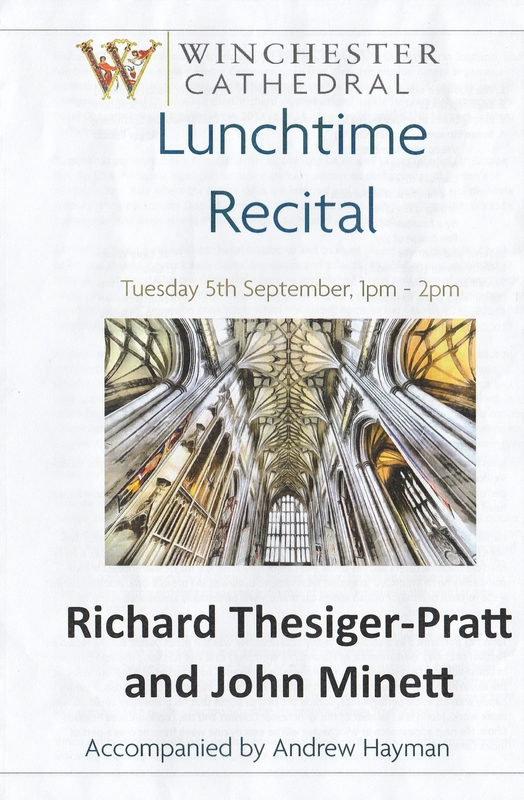 Philip’s song Money, a setting of the poem by W. H. Davies, was beautifully sung by highly regarded tenor John Minett at the Lunchtime Recital. 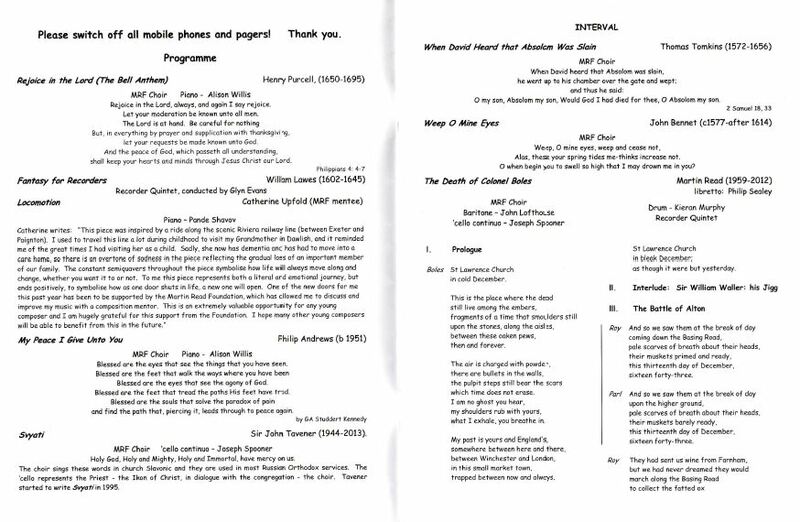 On Saturday 29 April 2017, the Hampshire-based choir Cantique performed Philip’s setting of Tennyson’s poem A Farewell, which was included in a programme of English choral music. Take a look at the full programme below. All of Philip’s pieces went down brilliantly with both audiences, with the performers themselves also attesting to how much they enjoyed playing them! On Saturday 8 April, Alton Concert Orchestra – based in Hampshire, UK – gave the very first performances of two of his works, Late Autumn and Shooting the Breeze. These pieces made up a programme which also contained Smetana’s Vlatava and Tchaikovsky’s Fourth Symphony. 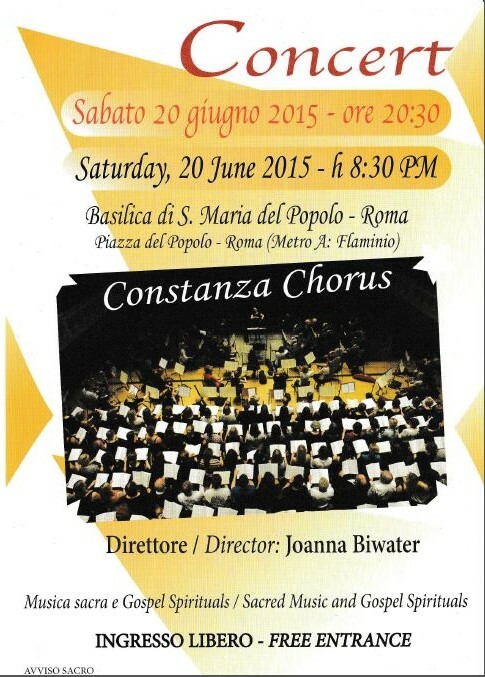 This was a special concert for the orchestra who celebrate their 25th anniversary this year. Philip’s music took centre stage at a special concert held in May 2016. The Spring Concert took place at the Friends’ Meeting House in Alton, Hampshire on Friday 6 May. Well-renowned professional singer Joanna Tomlinson performed two pieces on the night which Philip wrote especially for her. These included After The Winter, getting its very first performance. The audience also had a chance to hear two movements from Philip’s celebrated Jane Austen Suite. Jane Austen Suite was also performed at this year’s Jane Austen Regency Week in Alton, in late June. 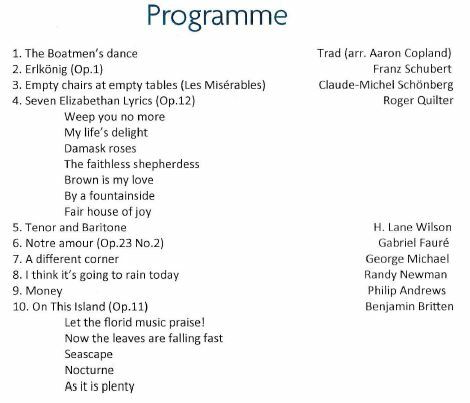 This concert in the historic St Lawrence Church in Alton, Hampshire was the venue for the first performance of My Peace I Give Unto You, a setting of a poem by GA Studdert Kennedy. It was part of a concert for the Martin Read Foundation, with a mixture of early and contemporary English music. David Gibson conducted the Martin Read Foundation choir. Geoffrey Anketell Studdert Kennedy, MC (1883 – 1929) was an Anglican priest and poet. He was nicknamed ‘Woodbine Willie’ during World War I for giving Woodbine cigarettes (along with spiritual aid) to injured and dying soldiers. Constanza Chorus performed A Farewell in London on Saturday 27 June, as part of the Wren Choral Marathon at the City of London Festival. The event involved a series of hour-long concerts by 17 different choirs in 17 churches designed by Sir Christopher Wren – all in a single day. Constanza’s concert took place at St Mary-le-Bow in Cheapside at 10pm, as the marathon headed towards a climax. Philip’s Jane Austen-inspired Chawton Suite was one of the highlights of an annual celebration of the author in Chawton and nearby town Alton in Hampshire, UK. 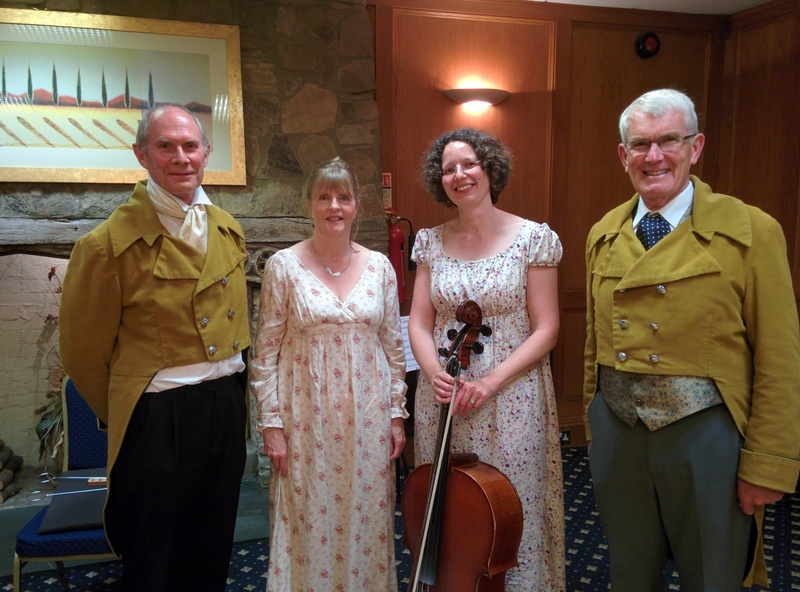 The nine-day festival included a Regency Musical Evening on Friday 26 June – during which the Suite was performed by the newly-formed Alton Chamber Ensemble, in full Regency-style dress! 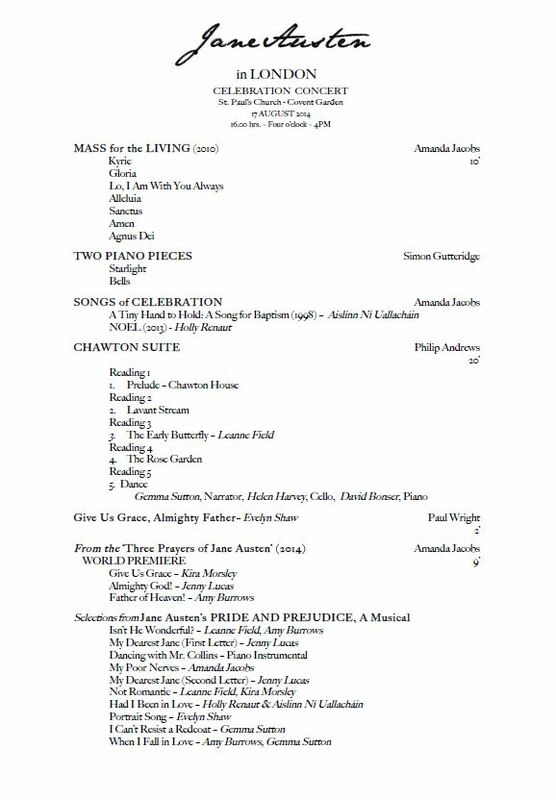 Chawton Suite was commissioned by Chawton House Library in 2012 and had its premiere at the adjacent St Nicholas Church in September 2013. 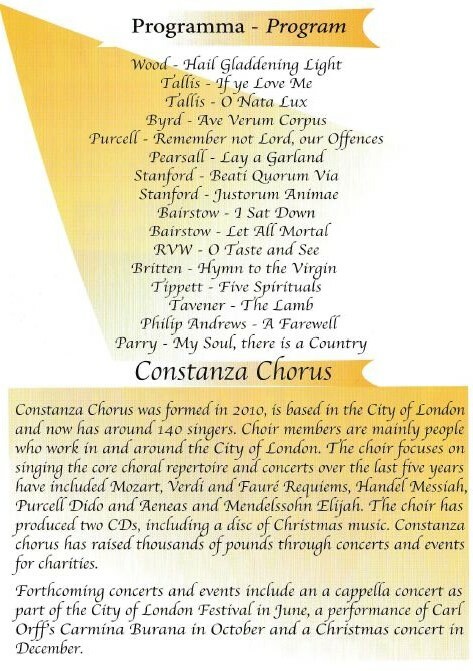 London-based choir Constanza Chorus took Philip’s music to Italy, when they asked to perform his song setting of the Tennyson poem A Farewell. 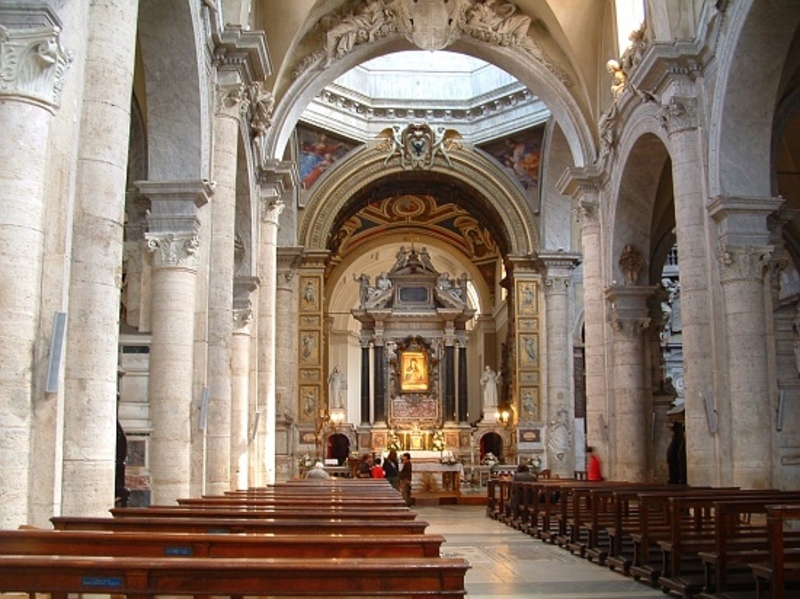 It was featured in the well-known choir’s concert at the beautiful 15th Century Santa Maria del Popolo church in Rome in June 2015. 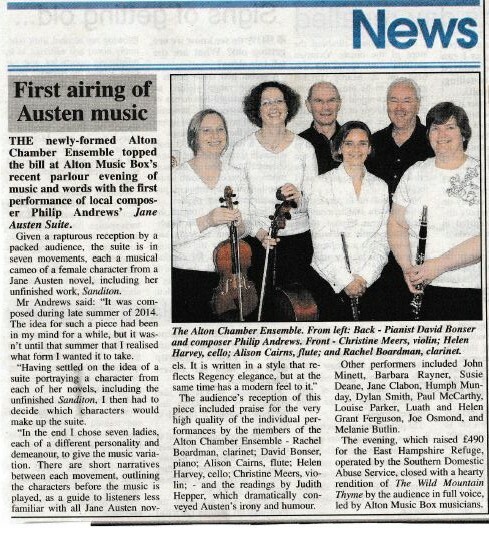 This new composition based on Jane Austen characters had its premiere at Alton Music Box on Friday 5 June 2015 – to a rapturous reception from a sell-out audience. 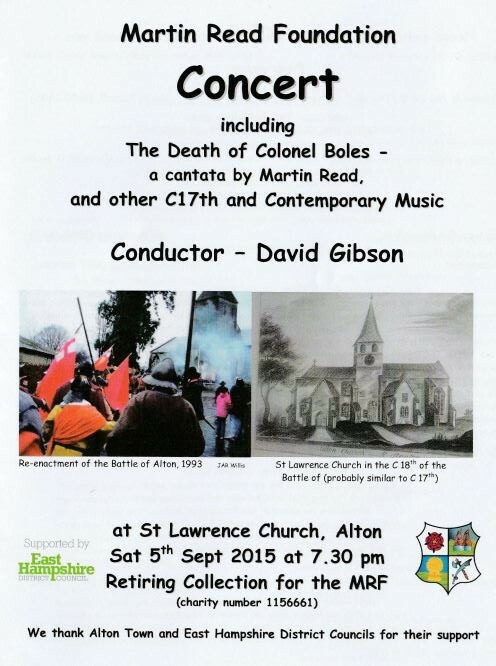 It was performed by Alton Chamber Ensemble and conducted by the composer, Philip. The seven movements of Jane Austen Suite bring to life different heroines from each of her novels – including the unfinished Sanditon. The music is scored for flute, clarinet, violin, cello and piano – while a narrator introduces each character. 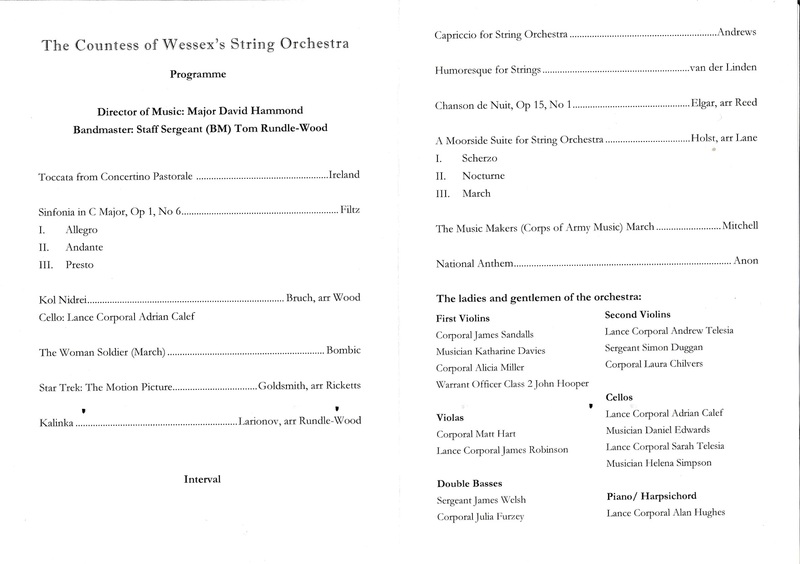 The Suite’s debut provided a stunning end to the first half of an eclectic programme filled out by local musicians and performers – on an informal and friendly evening which raised nearly £500 for East Hampshire Women’s Refuge. Philip has already had interest in more performances for the Suite, potentially including next year’s Jane Austen Regency Week in Alton. 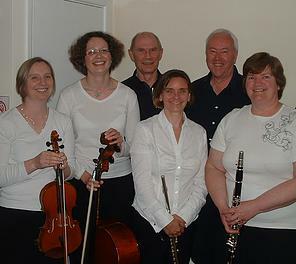 Philip said: “I was delighted with the first performance of this music and the playing of the Ensemble was excellent. Jane Austen’s House Museum also featured the concert on their blog, which you can read here. 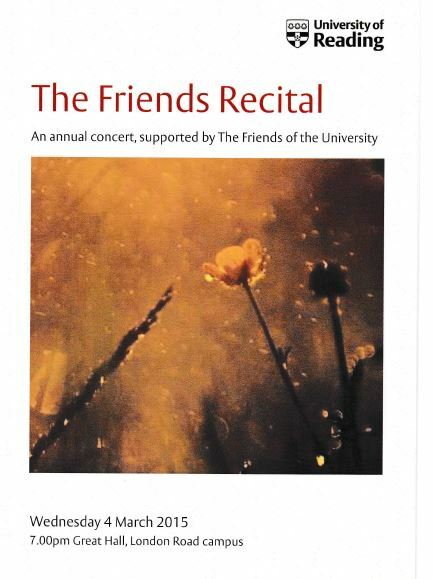 Three of Philip’s settings of poems by 19th Century English poet Christina Rossetti were performed by soprano Joanna Tomlinson at The Friends Recital in the Great Hall at the University of Reading. Mirage, The First Day and What Would I Give? were all included, with the latter two written especially for Joanna. What Would I Give? was given its world premiere at the concert. Philip’s Chawton Suite received its first London performance at the famous St Paul’s Church in Covent Garden – known as ‘the actor’s church’. 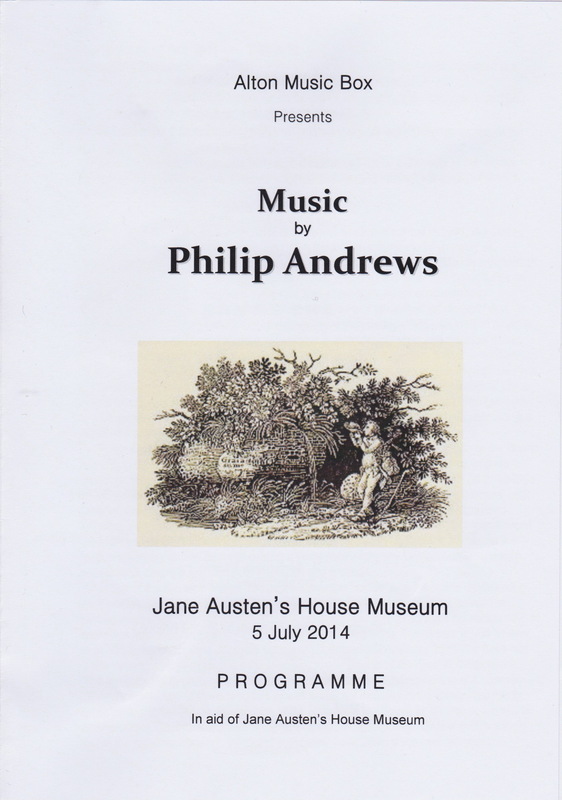 Amanda Jacobs, having heard the Suite performed at Philip’s concert at Jane Austen House Museum, enjoyed it so much she asked if it could be included in her own upcoming concert. Actress/singer Gemma Sutton took the role of narrator. 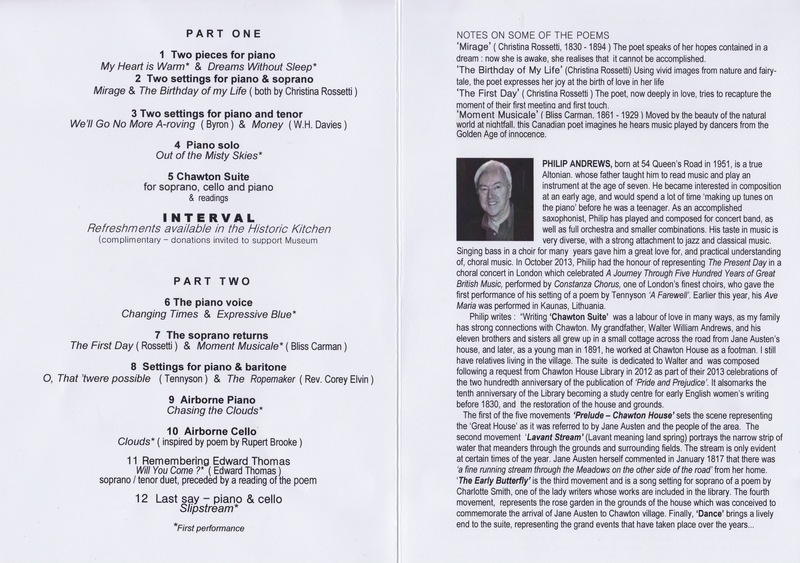 Following the successful premiere of Philip’s Chawton Suite in September 2013, Alton Music Box decided to expand this to an entire concert dedicated to his music. The evening – a mixture of his music for solo piano and songs, which are settings of romantic poems – was a sell-out, in the historic setting of Jane Austen’s home. 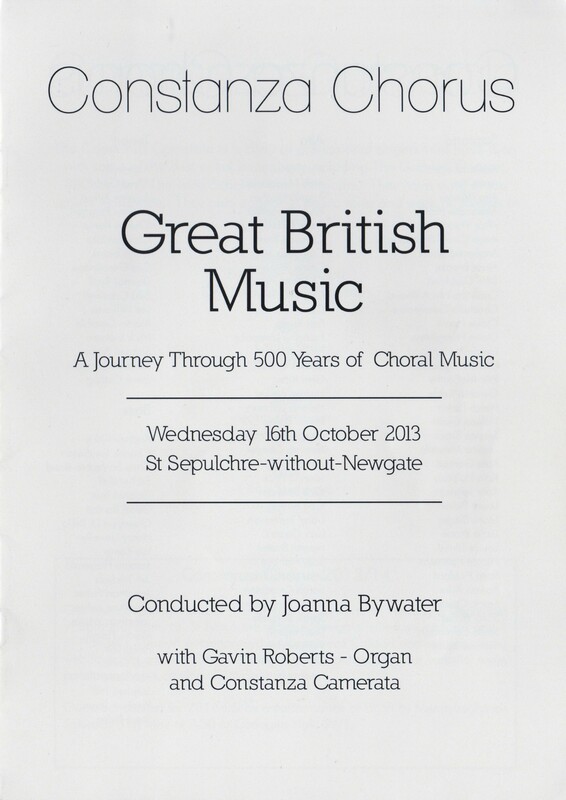 In this concert celebrating 500 years of British choral music, Philip was chosen to represent the present day with his composition A Farewell. It put him in esteemed company with established composers such as Elgar, Vaughan Williams and Walton. Visit the Listen page to hear the performance of A Farewell.